Summer events in Mason City! Held annually since 1928, this music festival is a North Iowa tradition. Celebrate Memorial Weekend with free music, entertainment and various types of events for young and the young at heart. Enjoy the carnival, market, car show and plenty of food for the whole family! This event is the largest free marching band competition in the Midwest. The Parade begins at 10am on Saturday. Route is North Pennsylvania Avenue to East State Street to South Illinois. Festivities held in Mason City’s beautiful East Park. Great food, live music and tons of fun with your family and friends! This year’s Art to the Rescue! theme will allow children to use their imaginations to create their own superheroes. Guests can also listen to sounds of live music from local bands, and stroll through the outdoor Art Market filled with artists selling original works of art. Fill up on FREE pancakes and let the kids enjoy a whole array of hands-on, make-and-take activities. The Festival takes place on the lawns of the Charles H. MacNider Art Museum and the Mason City Public Library. Bring your lawn chairs and the entire family for this evening of fun and FREE music. Multiple food vendors, a beer tent and family-friendly activities make for a perfect summer night in Downtown Mason City! 2014 Concert Lineup – JUNE: A Band Called Soul, JULY: The Chocolate Crackers, AUGUST: The Hepperly Band. 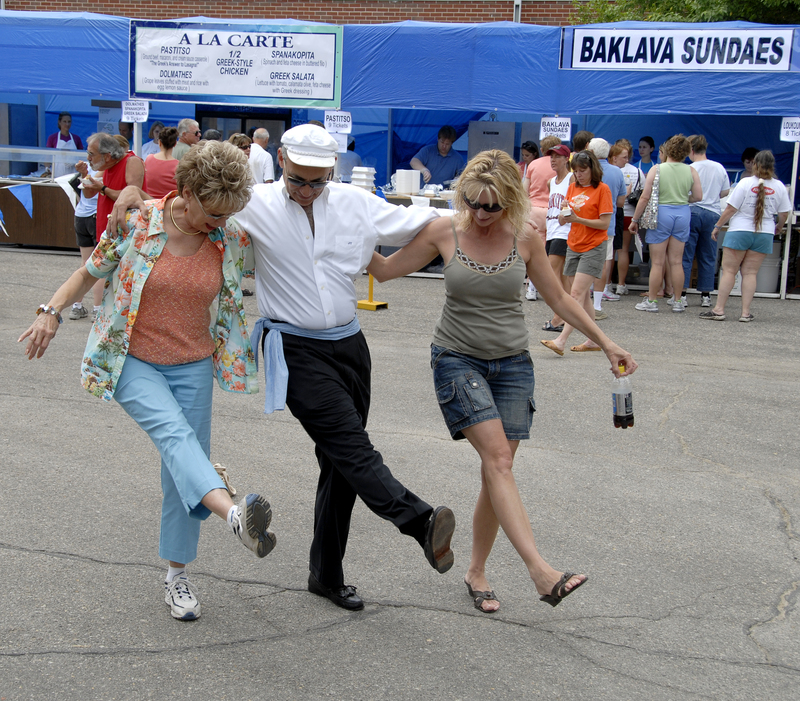 Another North Iowa tradition – The Greek Festival features live Greek music, dancing, children’s games and activities, novelty booths with Greek spices , and, of course, authentic gyros, baklava, souvlaki (seasoned meat on a stick), saganaki (flaming cheese), dolmathes (grape leaves stuffed with meat and rice with egg lemon sauce), and loukoumathes (hot puffs with honey and cinnamon). (Is your mouth watering yet?) The event is held one day only at the Greek Orthodox Church. 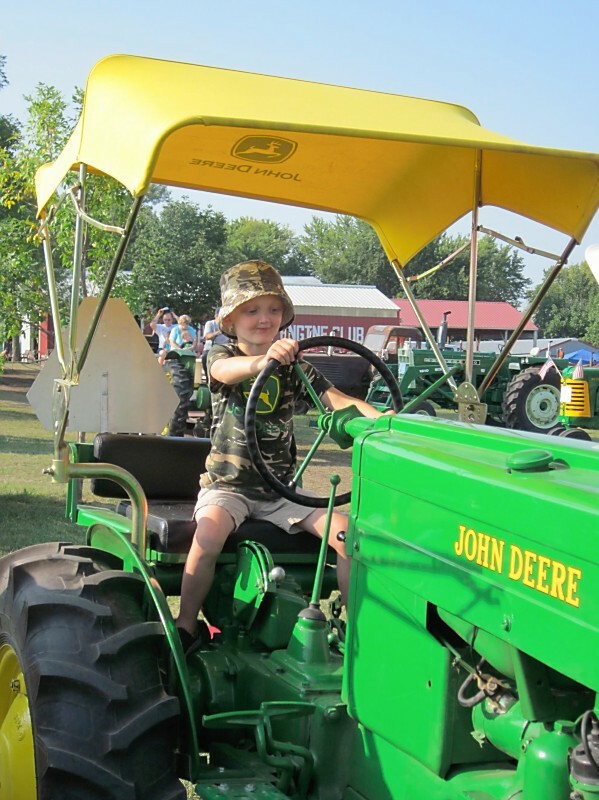 This year’s Great Iowa Tractor Ride is coming to Mason City! 400 Tractors will gather for 4 days and enjoy daily travels to area communities. Event headquarters will be North Iowa Area Community College. Sunday afternoon parade will be held in Downtown Mason City. All aboard! Celebrate Mason City’s railroad heritage at the annual Cannonball Day festivities in East Park. From the early morning Cannonball Kids Fun Run, to the free stage band entertainment, inflatable playgrounds, amusement train rides for all ages, and the great Mason City Evening Lions Club Chicken BBQ, there is something for everyone! Denny & the DC Drifters, will perform classic oldies. What’s better than good barbecue and cold beer in a gorgeous natural setting? The Up In Smoke BBQ Bash offers just that. Held in East Park, more than 60 teams will compete in this event, sanctioned by the Kansas City BBQ Society. Food vendors will be on-site serving everything from Texas-style brisket to Memphis-style ribs to Carolina pulled pork. In addition to the delectable barbecue, the Bash features live music and inflatables for the kids. They’re baa-aack and bigger than EVER! The Pyrotechnics Guild International (PGI) will return to Mason City and present the BIGGEST, the LOUDEST, the BRIGHTEST, most jaw-dropping fireworks you’ll ever see! Industry-leading pyrotechnic marvels will light up the sky in North Iowa with ground and aerial fireworks displays that are meticulously choreographed with music and special effects. You won’t want to miss this! Get your tickets today! For a complete listing of events taking place in Mason City throughout the entire year, visit www.VisitMasonCityIowa.com and click on EVENTS.